Give Back to Disabled Veterans! You can make a difference by helping veterans get the benefits they have earned. 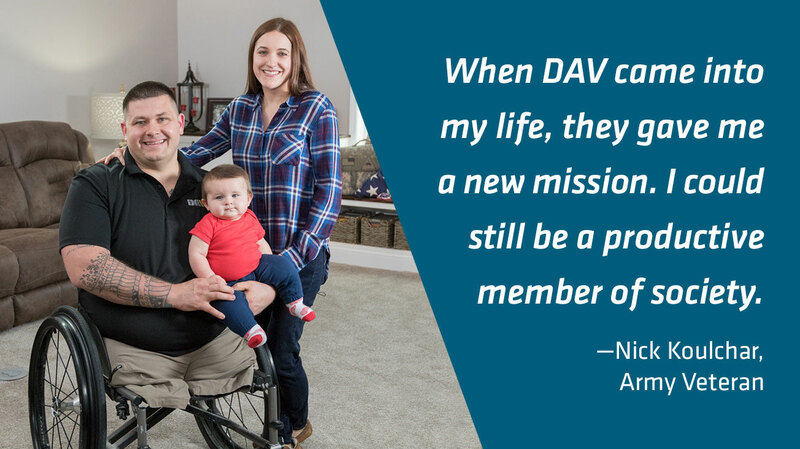 DAV (Disabled American Veterans) works tirelessly to assist our wounded heroes. We fight for the veterans who fought for our freedom. Whether they are dealing with physical injuries, or invisible wounds like traumatic brain injury (TBI) or post-traumatic stress disorder (PTSD), these patriots deserve to get the benefits they have earned serving our country. Help us help them — make a generous gift today!